This year, we are taking over the Academy’s Pickford Center for Motion Picture Study for an entire weekend of panels, interactive workshops, and special events focused on the craft and business of writing for the screen. As always, expect the best and brightest writers, producers, executives and insiders in the film and television industries. LINWOOD PASS – Access to every headlining panel in the Linwood Dunn Theater on Saturday and Sunday. That’s 7 panels plus a networking mixer! PANEL TICKETS, SATURDAY and SUNDAY HEADLINERS PASS – If you can only make one day of the WGFestival, then we’ve released a limited number of passes for attendance to every headlining panel in the Linwood Dunn Theater on either Saturday or Sunday OR passes to either Saturday morning or Saturday evening panels! PICKFORD PASS – Access to all headlining Linwood Dunn Theater panels, all intimate hands-on workshops throughout the Pickford Center on Saturday and Sunday, and an invite to a special Friday night event. That’s 7 panels, 14 classroom-sized workshops, plus a networking mixer and a special exclusive Friday event. ALL ACCESS PASS – Access to all headlining Linwood Dunn Theater panels, all Pickford Center workshops on Saturday and Sunday, an invite to a special Friday event, and get notes on the first 15 pages of your script by the WGF’s network of writers and producers. *Those who purchase the special ALL ACCESS PASS will get notes on the first 15 pages of any script that they submit. This year’s readers include John August (BIG FISH), Jane Espenson (ONCE UPON A TIME), Doug Jung (STAR TREK BEYOND), Damon Lindelof(THE LEFTOVERS), Ashley Miller (X-MEN: FIRST CLASS), Terri Edda Miller (CASTLE), Jason Reitman (UP IN THE AIR, JUNO), Sam Sarkar (Executive Vice President of Johnny Depp’s production company Infinitum Nihil), David Shore (HOUSE), Sally Willcox(producer/executive, MATERIAL), and more readers to be announced! If you have any questions, email our Programs Director Chris. Golden Ticket holders, email Chris to discuss how to upgrade to get your pages read. When you purchase a LINWOOD, PICKFORD, ALL ACCESS, SUNDAY HEADLINER or PITCH pass, you are eligible to enter the WGFestival Pitch Competition. After you’ve purchased your pass, you will receive instructions on how to email your logline to the Pitch Competition selection committee. Loglines will be due by noon PST on Monday, March 20, 2017. Those 10 writers will pitch live at the Pitch Competition panel where they’ll be judged by Matt Dy, Austin Film Festival’s Screenplay and Teleplay Competition Director; Christopher Lockhart, Story Editor at WME; and writer/producer Edward Ricourt (MARVEL’S JESSICA JONES, NOW YOU SEE ME). The judges will choose the top three pitches, give feedback, and discuss with the audience what makes a successful pitch. Everyone will get the opportunity to observe what works and what doesn’t work. Last year’s winners, Lisa and Gina Gomez, share what it was like to pitch in front of audience and what they did with the prizes. Plus, all 10 writers will receive a copy of Final Draft. And more prizes to be announced! 10am – 11:30am – In conversation with screenwriter, executive producer and playwright Aaron Sorkin (MOLLY’S GAME, THE NEWSROOM, THE WEST WING). Moderated by Elvis Mitchell, host of KCRW’s The Treatment. Noon – 2pm – SHOTS FIRED premiere episode screening followed by a panel and Q&A with co-creators Gina Prince-Bythewood(LOVE & BASKETBALL) and Reggie Rock Bythewood(NOTORIOUS) and the writers room. Moderated by writer, director and producer Ali Leroi (EVERYBODY HATES CHRIS). 4pm – 5:30pm – In conversation with screenwriter and director James Gunn (GUARDIANS OF THE GALAXY, GUARDIANS OF THE GALAXY VOL. 2). Moderated by Elvis Mitchell, host of KCRW’s The Treatment. 5:30pm – 7pm – Networking Mixer co-hosted by STARZ and the Academy Education and Nicholl Fellowship Programs. 7pm – 9pm – AMERICAN GODS advanced screening followed by a panel and Q&A with showrunners Bryan Fuller (HANNIBAL, HEROES, PUSHING DAISIES) and Michael Green (LOGAN, ALIEN: COVENANT, HEROES), and actor Ian McShane (RAY DONOVAN, JOHN WICK, DEADWOOD). Moderated by actress and comedian Yvette Nicole Brown. 9:45am – 11:30am – PRIZES AND DETAILS ANNOUNCED! The WGFestival 2017 Pitch Competition, where 10 emerging writers from the audience pitch their story ideas in front of a live audience and our panel of judges, including WME Story Editor Christopher Lockhart, writer Edward Ricourt (MARVEL’S JESSICA JONES, NOW YOU SEE ME), and Matt Dy, Austin Film Festival’s Screenplay and Teleplay Competition Director. The competition is open to Linwood Pass, Pickford Pass, Sunday Only Headliners Pass and All Access Pass holders. Noon – 1:30pm – The Balancing Act: Writing for Passion and Money, a panel of screenwriters, including Mark Boal (ZERO DARK THIRTY, THE HURT LOCKER), Kirsten “Kiwi” Smith (LEGALLY BLONDE, 10 THINGS I HATE ABOUT YOU) and Tyger Williams (THE PERFECT GUY, MENACE II SOCIETY) share how they balance creative freedom with business interests for their projects. 11:45am – 1:15pm: Breaking Through the Wall: From Spec Script to Your First Option. Writer Dwain Worrell discusses his first option and all the scripts that he had to write to get there. He sold his spec script THE WALL to Amazon Studios – the studios very first spec deal. 11:45am – 1:15pm: Screenwriter and producer Dan Petrie, Jr. (BEVERLY HILLS COP) goes over the creative side of producing, from development to overcoming logistical challenges of early career feature films. 11:45am – 1:15pm: Learn quick techniques for establishing and developing characters in this interactive workshop with TV writer Marlana Hope (THE KICKS, ARMY WIVES). 12:00pm – 1:30pm: Sharpen your action and suspense writing with screenwriter Ben Ripley(SOURCE CODE). 1:45pm – 3:30pm: Play the part of a staff writer in an intimate, hands-on workshop led by Executive Producer Laurence Andries (BEING MARY JANE, SIX FEET UNDER) on how to create an episode of a television show. 1:45pm – 3:30pm: Using Improvisational Writing Games to Tap Into Your Creativity with Robin Schiff (ROMY AND MICHELE’S HIGH SCHOOL REUNION, ARE YOU THERE CHELSEA?, 10 THINGS I HATE ABOUT YOU (TV series)). 2:00pm – 3:30pm: Learn the process behind adapting and laying out a story based on underlying material with Robin Swicord (THE JANE AUSTEN BOOK CLUB, MEMOIRS OF A GEISHA). It will cover basic structure, elements of drama, and where the screenwriter needs to “adapt” the story to make it a dramatic narrative.  2:00pm – 3:30pm: Go into the process of world building in film and TV with writer and producer Kira Snyder (THE HANDMAID’S TALE, THE 100). 2:00pm – 3:45pm: Watch how a room works in a Mock Hour-long Drama Writers Room with showrunner Adele Lim (LETHAL WEAPON, STAR-CROSSED, REIGN). 11:45am – 1:15pm: Get advice on building a well-rounded writing career from Derek Haas(CHICAGO FIRE) and Craig Mazin (IDENTITY THIEF). 11:45am – 1:15pm: Strengthen your rewrites with the guidance of Ken LaZebnik (TOUCHED BY AN ANGEL). 11:45am – 1:15pm: How to Express Characters Through Dialogue: Examining Great Screenwriters and Your Own Dialogue with writer and producer Barbara Nance (THE CLIENT LIST, HOUSE OF LIES). 12:00pm – 1:30pm: Get tips on how to work with a writing partner from screenwriting partners Destin Daniel Cretton (THE GLASS CASTLE, SHORT TERM 12) and Andrew Lanham (THE GLASS CASTLE). 1:45pm – 3:15pm: Get the scoop on how producers find and develop writers from Genre Films president Aditya Sood, who’s produced DEADPOOL, DESIGNATED SURVIVOR, THE MARTIAN. 1:45pm – 3:15pm: Learn how to craft complex characters from screenwriter Meg LeFauve(INSIDE OUT). 1:45pm – 3:15pm: Strengthen your rewrites with the guidance of Ken LaZebnik (TOUCHED BY AN ANGEL). 2:00pm – 3:30pm: Learn how to write to catch the attention of actors, producers, and Executives with Sam Sarkar (Executive Vice President of Johnny Depp’s production company Infinitum Nihil).